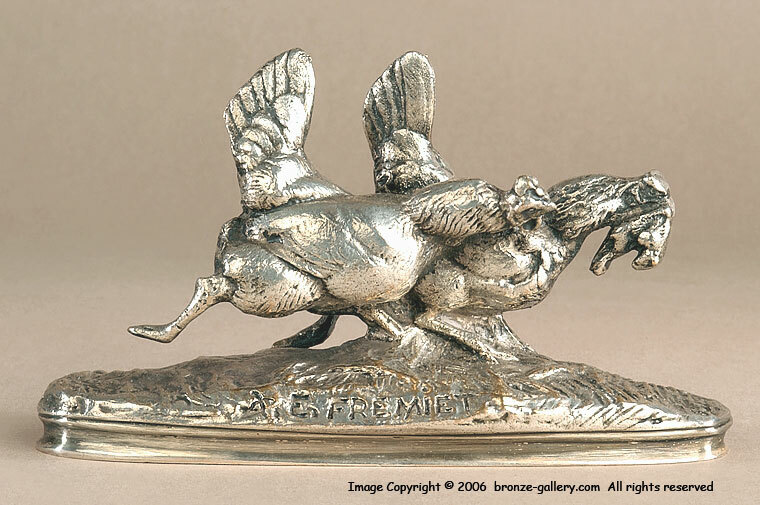 Fremiet's early work centered on domestic animals and he was a master at portraying dogs, cats, horses, chickens, and others. 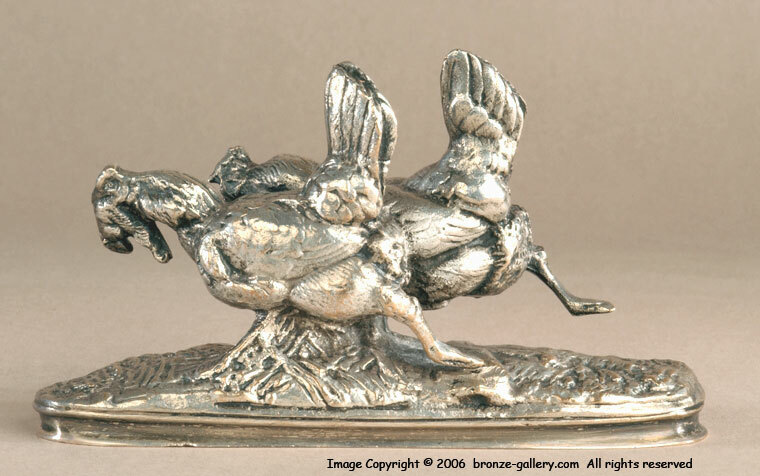 This rare early bronze shows a barn yard Hen that has caught a Mouse and now is being chased by another hen trying to take the dead rodent away. Surprisingly, chickens will often catch and kill mice and small rats and then even eat them. 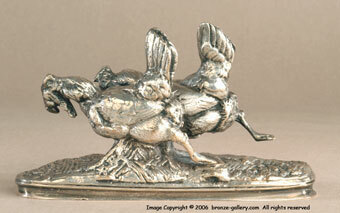 But it is unusual to find a sculpture depicting such an act. 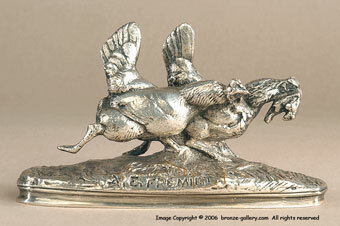 This bronze has sharp detail and a silvered patina, it is stamped 4 indicating it is an early cast.